Searching for the top CBSE Schools in Gurgaon 2019 with ranking? if yes, then you are certainly on the right page. The city known for its large number or private schools is also home to some of the best schools for CBSE schooling. Eduvidya.com enlists for you the top CBSE schools in Gurgaon. We provide you with complete admission procedure for each school mentioned in this list. Blue Bells Model School is a pioneer co-educational English medium school located in the heart of the city of Gurgaon. The Shri Ram Global School has been founded by the Shri Ram Education Trust, adding a whole new dimension to the renowned Shri Ram legacy in education. 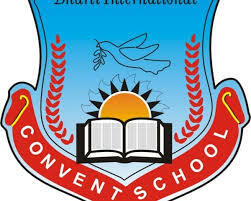 Bharti International Convent School is situated in Gurgaon, Haryana. 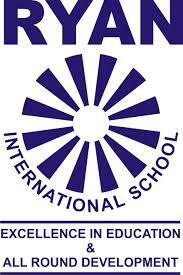 The Ardee World School, Gurgaon was established in the year 2008. Alpine Convent School aim is to hold the leading torch to become the pioneers in all aspects of education. Gurgaon Valley School is a progressive, child-centered, co-educational school that offers a rich, challenging and enjoyable educational programme recognizing the uniqueness of each child. GEMS International School (GIS), under the aegis of GEMS Education - the world’s largest network of K-12 schools, is an edifice of pedagogical and infrastructural excellence. Indus is one of the best-loved schools in Gurgaon, founded in 2009, it now boasts of two beautiful campuses. Lions Public School was established in 1991 with the vision of providing quality education to the ever increasing population of the industrial town of Gurgaon. Manav Rachna International Schools is a leading schools of Delhi NCR and is part of Manav Rachna Educational Institutes. The Millennium Schools is powered by the Millennium Learning System (MLS), aptly called the Science of Education. Our Lady of Fatima Convent Secondary School, Gurgaon owned by the Institute of the Franciscan Clarist Missionaries of the Most Blessed Sacrament. Presidium is a senior secondary school redefining education in India. 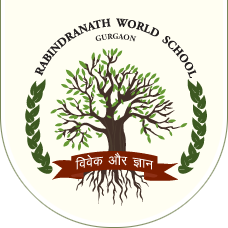 Rabindranath World School (RWS) is co-founded by a passionate group of educators who aim to contribute directly to society and nation building. Ryan International School nestled in sprawling vernal and secure surroundings aims at comprehensive quality education.